Finally in First: The Luck Was WIth Me! It is POURING outside. Thank goodness it waited until after school! My kiddos had MAJOR leprechaun fever and I don't think I could have survived today if we had indoor recess. My sweeties were hysterical, running around the playground searching high and low for those sneaky leprechauns! ALL 30 kids brought a leprechaun trap in today and got a chance to explain how it worked. 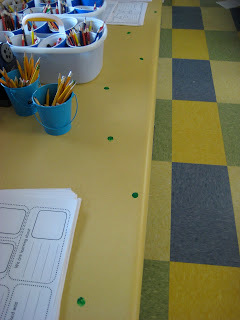 Sticky fly paper to trap the leprechaun! A crystal to make a rainbow to attract the leprechaun! This sweet boy made it clear his was NOT a trap. He borrowed his sister's doll furniture to make a comfortable place for the leprechaun. 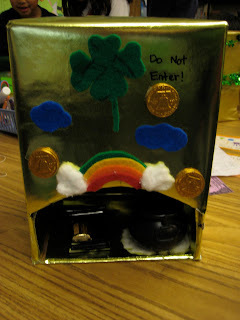 This one had chewed green gum holding the coins so the leprechaun would get stuck. YUCK but the kids loved it! 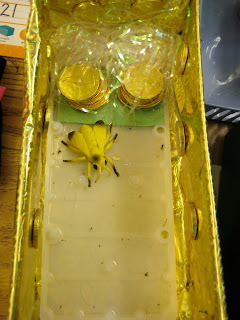 Yes, everything on this trap is edible! So of course we ate it! The leprechaun visited when the kids were at music. He made quite a mess! They got into the gold Kiss Your Brains! Were the leprechauns reading to our stuffed animals? 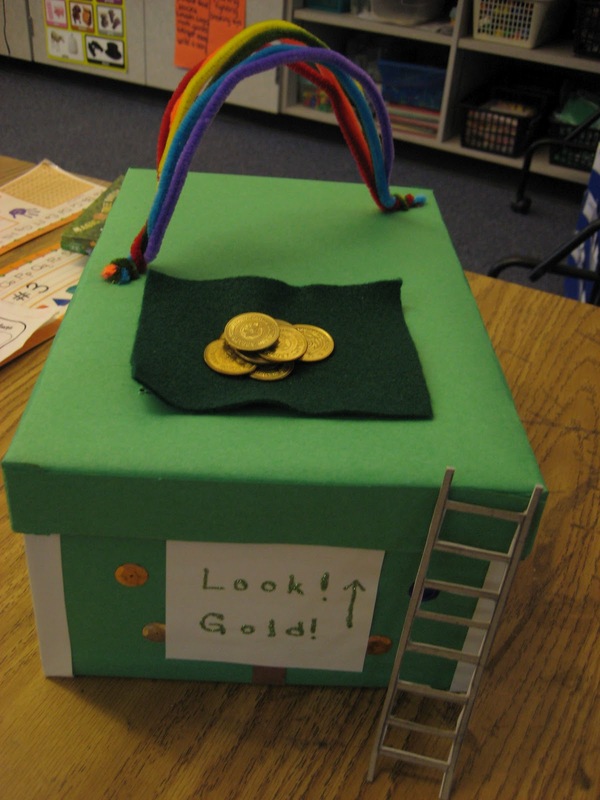 The leprechauns liked books about themselves! 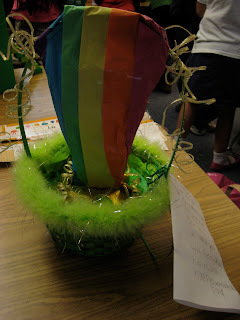 They played one of our math tub games: Pot O' Gold of course! They also got into our letter tiles. Every student got a note from Lucky and a chocolate and gum coin. It was kinda nice to have the traps and leprechaun craziness all on the same day instead of leaving them overnight like I did last year. Hope you enjoyed the leprechaun fun with your kids. Or maybe you are on Spring Break already? Then my green is from envy 'cause I still have 3 weeks !!! I have never done leprechaun traps but am putting this on my steal list for next year!!! What great fun! Thanks for sharing! The traps are super cute!! Super creative!! And that edible trap looks YUMMY!! Those traps are so creative - love it! 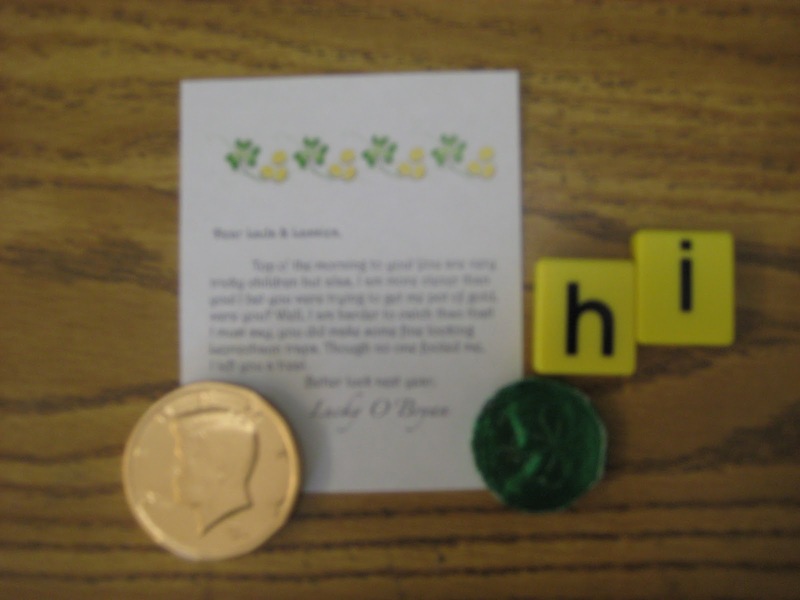 I have to remember the letter tiles -- too cute! Cute ideas! We did some traps too. I would love for you to check them out! 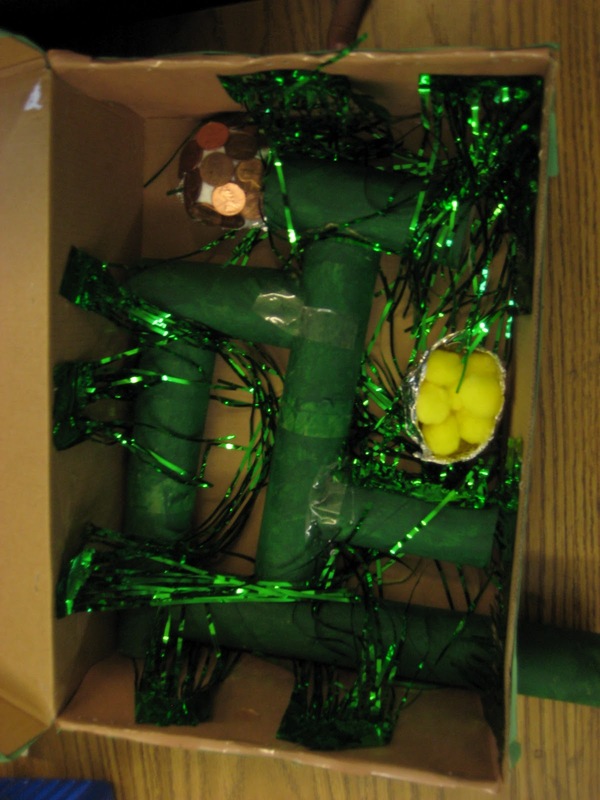 I love love LOVE the traps your kiddies made! so adorable! 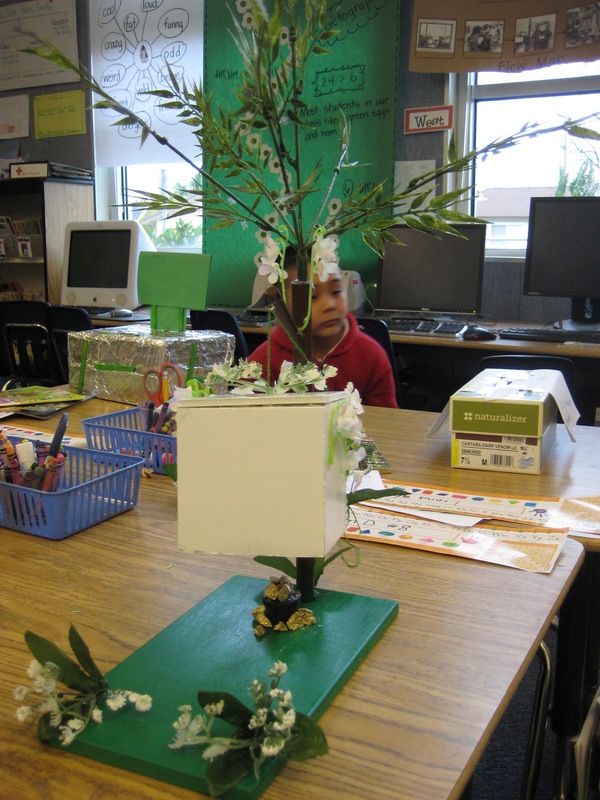 I'm the newest follower of your blog, a student teacher starting my first practicum next month! It's always been my dream to teach 1st grade as well. I would love it if you could visit my site and follow me back! This is so adorable! I'm doing it Monday with my kiddos! I've been trying to figure out what to put on their notes from the Leprechaun though. Any ideas?